Iconic Watches - Genuine luxury Swiss timepieces at discount prices IconicWatches.co.uk /Ancient and modern jewellers Ltd is a UK jewellery shop based in Blackburn, we specialise in luxury watches and over the last 60 years have supplied all major watch brands. 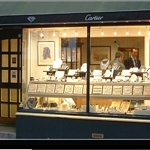 We offer 20% discount on Cartier, panerai, rolex, Franck Muller, IWC, omega, Tag heuer and many other brands. 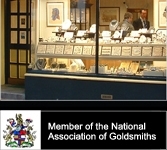 Our Physical store allows us to service and repair watches and we are interested in part exchanges.